Nia Coffey dribbles the ball. The senior forward was named to her fourth All-Big Ten First Team. Senior guard Ashley Deary won her second straight Big Ten Defensive Player of the Year award and senior forward Nia Coffey earned All-Big Ten first team honors for the fourth-straight year, the conference announced Monday. Coffey was a unanimous first-team selection by the media. Deary also collected second-team honors from both coaches and the media. Deary is the Big Ten’s all-time leader in steals with 423. She also leads the conference in steals and assists per game, averaging 3.9 and 6.5, respectively. Her 10.6 points per game are slightly below her mark from last season, though she made the second team for the first time after three consecutive seasons of honorable mention accolades. Coffey, a versatile 6-foot-1 forward projected to be a top-5 pick in the upcoming WNBA Draft, averages 19.5 points and 10.6 rebounds per game. She is the Big Ten’s second leading rebounder and fourth leading scorer. Coffey, an Associated Press honorable mention All-American last season, is the first player in program history to be named to the all-conference first team four times. 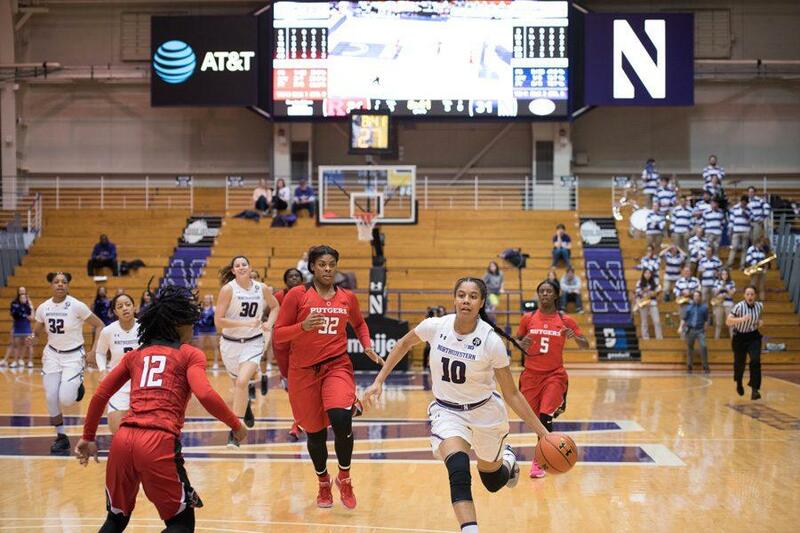 She is NU’s all-time leading rebounder and its second leading scorer, trailing Anucha Browne by just 75 points. Ohio State guard Kelsey Mitchell was named the Big Ten Player of the Year, and Michigan’s Kim Barnes Arico won Big Ten Coach of the Year. The Wildcats (19-10, 8-8 Big Ten) have struggled significantly in February despite the play of Coffey and Deary. They finished ninth in the conference and will open Big Ten Tournament play Thursday in Indianapolis against Iowa.